There is only one two words you need to know when it comes to baby moccassions… FRESHLY PICKED! Read it again so you never forget it… FRESHLY PICKED! They recently sent me a pair of their new Fire Engine moccs to review from their “Classics Collection”. They provided the shoes but my views are all my own and what I can say is that I love them. Honest-to-goodness, truly, madly, deeply, I heart these shoes. These exact moccasins are currently sold out but i linked their new coral ones that are a close match. 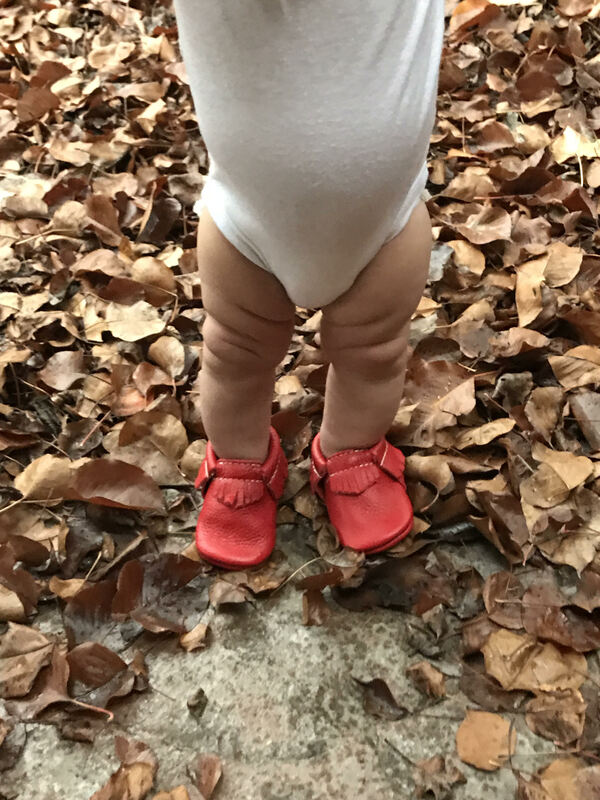 First of all… i have to admit that I have tried several other brands of baby moccasins but i can honestly say without a doubt in my mind, the quality does not even TOUCH freshly picked. They are sooo well made, super soft and best of all, they actually STAY PUT on my baby girl. 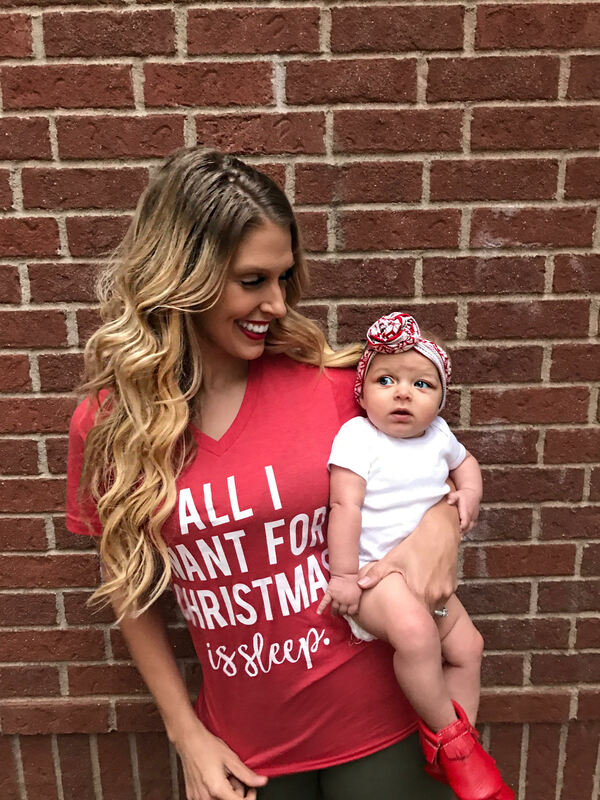 I got this color at the perfect time of year cause this red shade matched all our fun christmas outfits and we will be putting them to daily use until she grows out of them. Ever since I got pregnant, I have been eyeing the incredible sweetness of Freshly Picked leather moccasins, in all their prints and colors. From neons, to neutrals and metallics, every pair of Freshly Picked moccs are to die for. 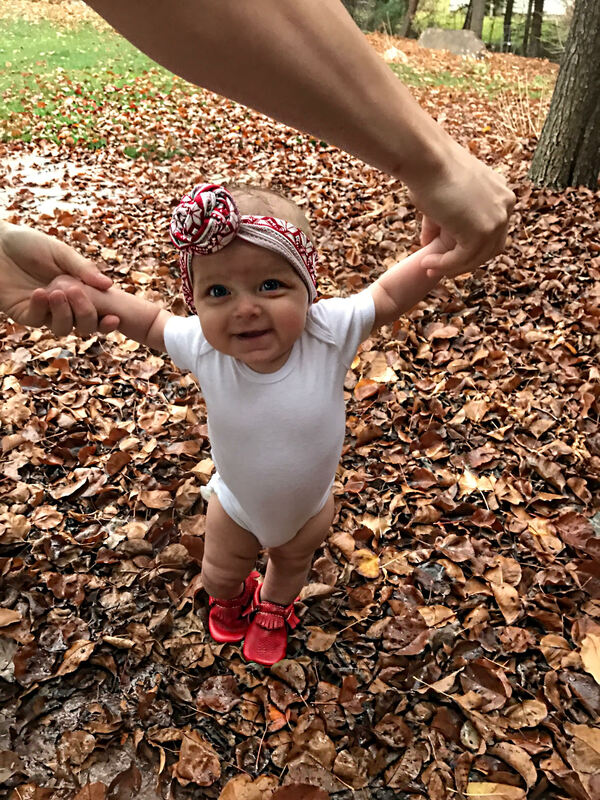 These moccasins will be apart of our every adventure together, her very first steps (holding back the tears here) and believe me when i say they will be loved unconditionally. Check back this week for a chance to win your very own pair! 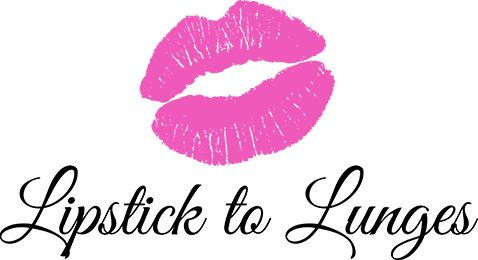 In the mean time, head on over to www.freshlypicked.com and get shopping! You won’t regret it!